The best smoothies come from the freshest fruits or vegetables available. Not only is the taste exceptionally delicious but the health benefits a person can get from these beverages are as brilliant. But, if anyone wants to go all out in improving their health, then it’s so important to go green with your smoothies and let me explain why. What exactly are Green Smoothies? Just hearing the term “green smoothie” gives you the impression of a green colored beverage that promises good benefits yet tastes really awful. Don’t worry, though, because these smoothies are prepared in a way that will give you a more delicious flavor to suit your taste buds. 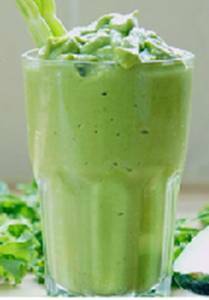 A green smoothie is a blended mix of green leafy vegetables like broccoli, parsley, celery spinach, kale and the like. Don’t think much about it just yet so you will not get nauseated. The main ingredients may have unsavory appeal but to make green smoothies more palatable, milk, fruits and other ingredients are combined with the vegetables. Then just trust the chef or person making the smoothies because they will surely do their best to give you an irresistible green smoothie that will make you buy again and again. If, for example, you are the one making it, then you can make it according to how you want it but make sure you don’t forget to put the base ingredients. What are the benefits of these smoothies? Natural weight loss– The vegetables in your beverage contain fiber, minerals, and vitamins that help burn unneeded fats in your body. Healthy skin– Almost everyone would want a clear fair skin that is free of visible marks like pimples, acne and such. It may sound so promising but these smoothies have been proven to really grant a person with a healthy glowing skin. Antioxidants– Aside from enjoying the aesthetic gains of smoothies, these drinks also give protection to your body against diseases by providing natural antioxidants. Increased energy– Those who go to gym love to drink smoothies during or after their sessions. It replenishes their thirst and energy so their bodies do not undergo fatigue after their exercises. 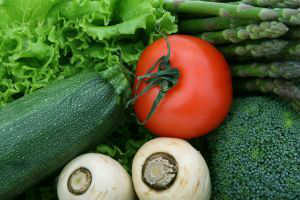 Consumption of fruits and vegetables– It is quite hard for people to consume those that do not appeal to their tastes. But with the delicious taste of green smoothie, anyone would voluntarily and blissfully drink this stuff without minding the ingredients. Thus solving the problem of low consumption of fruits and veggies. What are the different variations of green smoothies? As you can see, there are so many benefits with a smoothie that is green. Instead of mixing up that fruity smoothie or one that looks colorful, you may want to consider making it green because as you know by now, it’s going to be on the best options for you and your future health!